T13020-SS is rated 4.3 out of 5 by 8. Rated 5 out of 5 by Julie from Great product! 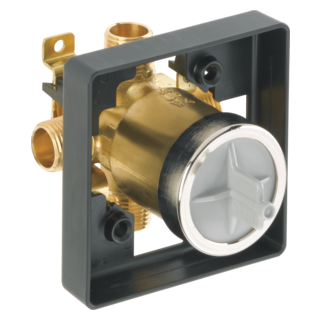 We installed this valve on a new walk-in tiled shower. It was easy to install and works like a charm! 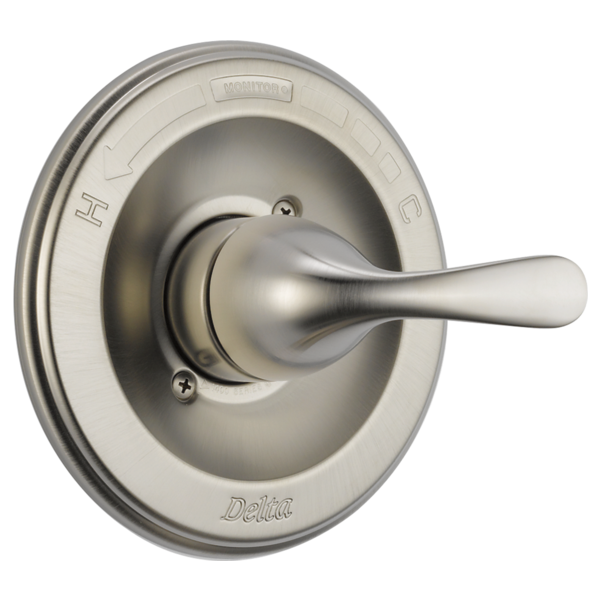 We chose Delta for the lifetime warranty and the easy to change cartridge. It looks great with our raincan showerhead and vintage subway tiles. Rated 4 out of 5 by HaydenY from Totally Adequate Contractor purchase, good for an inexpensive, easy to install trim. Rated 5 out of 5 by Happy camper from Works wonderfully! I am very happy about how it looks and works. Very easy to adjust to the right temperature. 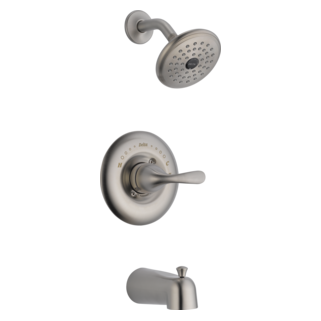 Rated 5 out of 5 by debwils from This is an excellent faucet with a superior warranty This is the only shower faucet our plumber stocks. When we had to do a replacement in a shower this was the one he replaced it with.We are so impressed with this faucet that we have two other showers in our home we will be replacing with this faucet as well. A follow-up to my above question and the answer I received.... Will the Windemere BT14496 trim kit work with the valve for this one? I want to make sure before I purchase it. If not can you please give me a specific model in bronze that would work? I have this series bathtub/shower combo. What trim kit in bronze will fit this valve as I cannot change the valve due to the current lack of access. Delta Monitor shower faucet handle removal? I have 3 Delta Monitor Shower faucets. House built in 2009. I cannot see how to remove the handle to change the temperature setting. There is no set screw to remove as is shown in all your examples. My question is, how do you remove the handle? 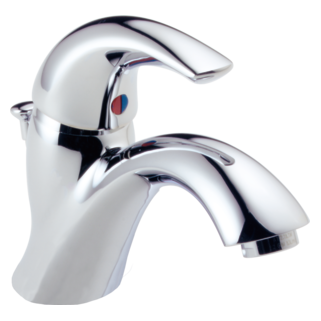 Can this product replace the handle on Faucet 144913? 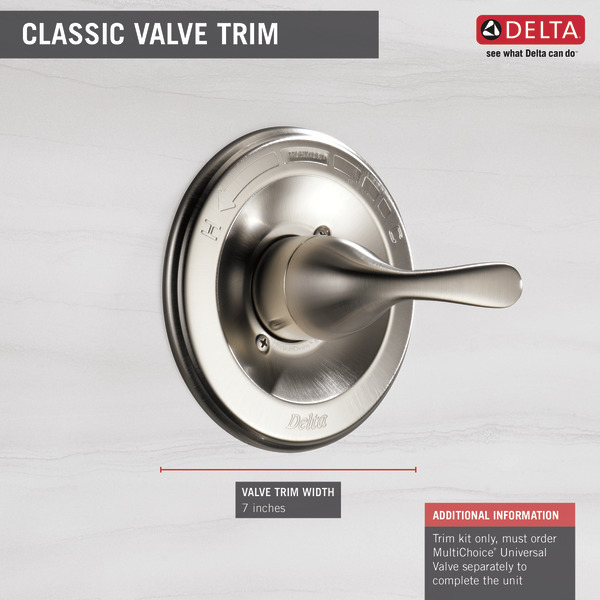 Can you install only the trim and not the valve? Will this kit fit my Delta 1400 series? 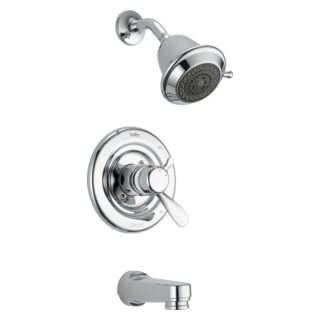 Does the current 13 Series of shower trim kits fit a Model 1300 Series rough in valve?